Nice Work at the Big South Ladies! 15’s bringing home a little Hardware! Coach Dal began coaching volleyball 15 years ago when his middle daughter’s travel team needed a coach. He has coached for Brick City Volleyball for the last 13 years. His coaching Philosophy is” To compete without sacrificing class or integrity; while caring about the person more than the athlete” His teams have won a variety of tournaments including a National Qualifier in 2014 and qualified for the Girls Junior Nationals twice…. Coach Moe has coached for over 30 years, starting with adults and now with juniors and collegiately. After playing and coaching his military teams while serving in the US Army, Coach Moe found a passion for coaching juniors starting with a County Rec team in 2012. 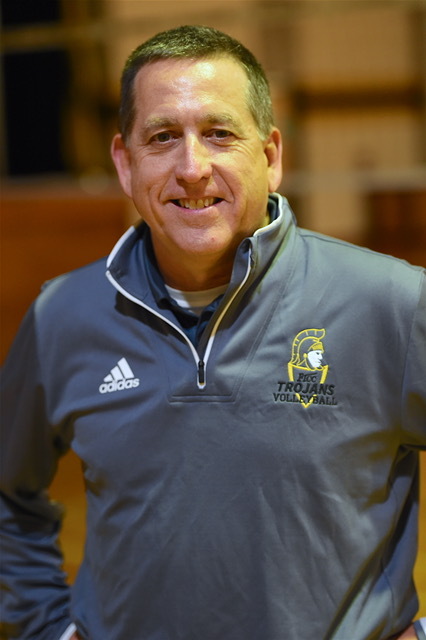 From there, he started coaching with Sandhills Volleyball club and has coached with them for the past six years. During his time with Sandhills VBC, he had two teams qualify for the USAV Girls Junior National Championships…. The Gym and parking is on the left side of the school!